The Umananda temple in Assam is situated atop Bhasmacala Hill, or the hill of ashes, which is an island in the center of the mighty Brahmaputra river. According to legend, it was on this hill that Maheshvara (Shiva) meditated and sank himself into deep sadhana for years after the death and destruction of his wife, the Goddess Sati. Umananda is the destroyer of all causes of suffering, the restorer of love. 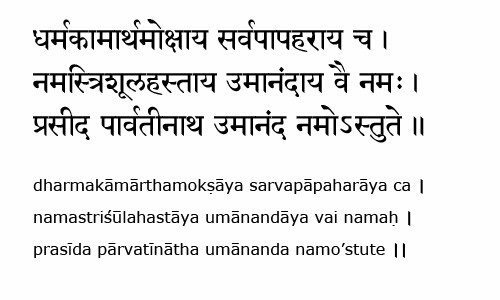 Unbeknownst to him, Sati was reincarnated as Uma (Parvati, who is also Durga/Kali). When Uma saw Maheshvara, she decided to win his affection by becoming an accomplished yogini. Soon Uma had surpassed even Shiva in her sadhana. Uma approached the God of Love, Kama, to reunite them by firing one of his love arrows at Shiva to arouse him from meditation. However, when Kama disturbed Shiva, Shiva’s third eye opened in a rage, and one look turned Kama into ashes, killing him instantly, and giving the hill its name. Soon after this, Shiva saw the beautiful yogini Uma, and fell immediately in love with her, recognizing her as the Divine Mother, his own beloved. She asked him to restore Kama’s life, which Shiva did, and even now, Uma and Shiva are forever inseparable. Even now, on a pilgrimage one cannot visit Kamakhya and consider their pilgrimage complete without also visiting Umananda. Umananda is literally “the pure bliss of Uma.” Umananda is a name for Shiva as Kamesvara/Kameshwara, the supreme divine lover of the Divine Mother Kamakhya (Kamesvari/Kameshwari). Shiva as Umananda demonstrates the power of pure love, partnership, and divine union. This union is not egotistical, but is the complete and utter union of the Self with the Divine, the dissolution of the illusion of separation. As his name indicates, Shiva selflessly gives everything for the pure bliss of the Divine Mother. He recognizes Her as the ultimate reality, and uplifts the feminine. This union is also beyond the dualities of masculine/feminine or male/female. While the mythology places Shiva and Uma into gendered categories, these energies are beyond gender. 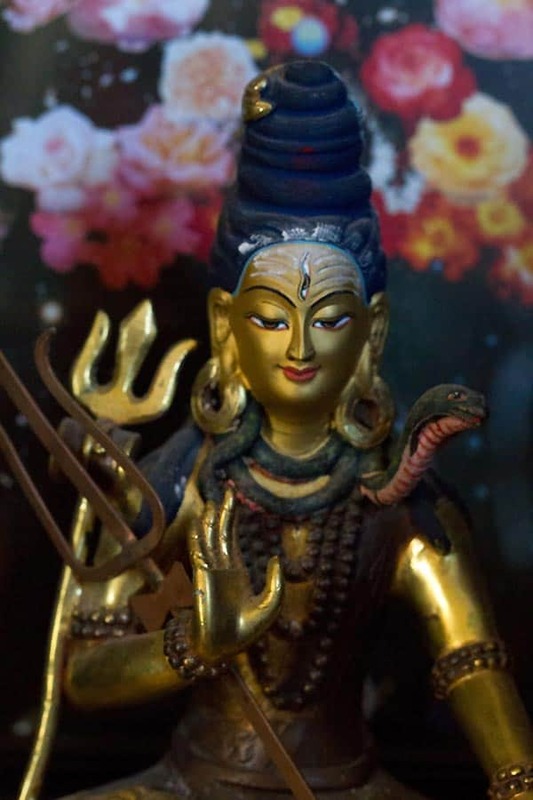 Whether we are male or female, whether we identify as masculine or feminine (or both, or neither), regardless of our sexual orientation or gender identity, the energies of Shiva and Shakti are within each of us, and the goal of the sadhaka is to balance these energies and move beyond duality into perfect balance and blissful divine union within. The path toward that union is different for each individual, as each of us is a product of our own biology and karmas, but the goal is the same. In daily life, this idea of cultivating an internal, balanced relationship with the divine also helps us in our relationships with other people. When Shiva recognized Uma as the Divine Mother, he was full of love for her. He recognized that she was not separate from himself, and that he had acted in anger when he literally killed the power of love out of impatience and anger. Similarly, if we have patience with ourselves and others, and when we strive to cultivate a strong relationship with the Divine Mother, we can also heal the wounded places of ourselves, restoring the power of love to its rightful place, and recognize others as not separate from the Divine Mother herself. This holds true for people we love – our spouse, family, friends – as well as for people we may not like very much. This consciousness carries us beyond dualities into total non-duality. In other words, when a devotee receives the divine nectar of pure love, and fully integrates that into her consciousness, she recognizes the Divine Mother as the center of the universe, and the entire cosmos is realized as the emanation of Her pure love and beingness. This then becomes the central, driving force of ahimsa, the principle of non-harm. In this state of consciousness, we recognize that when we harm others, we ultimately are harming ourselves. When we cause suffering for others, we cause suffering for ourselves. Umananda is the destroyer of all causes of suffering, the restorer of love. Umananda is also a reminder of the path of devotion, for Lord Shiva is the ultimate devotee of the Mother.